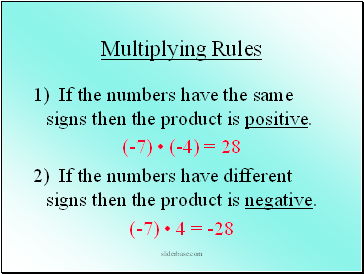 1) If the numbers have the same signs then the product is positive. 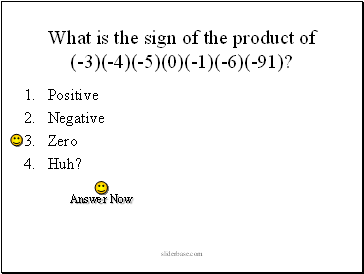 2) If the numbers have different signs then the product is negative. 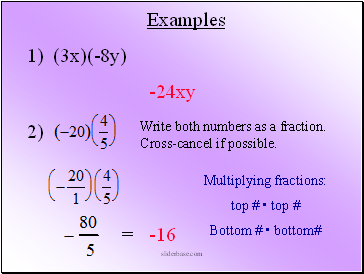 Write both numbers as a fraction. 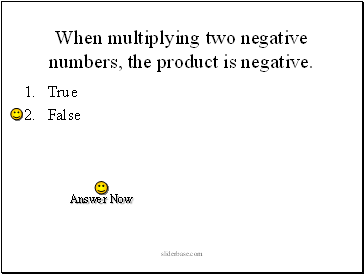 When multiplying two negative numbers, the product is negative. 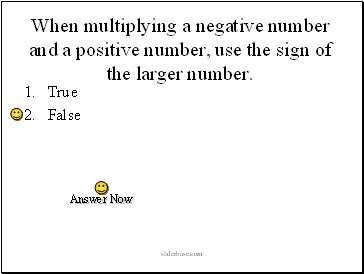 When multiplying a negative number and a positive number, use the sign of the larger number. 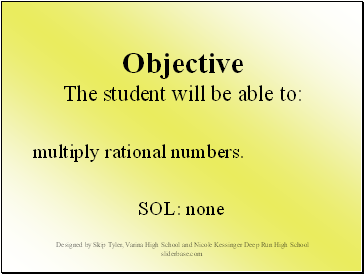 When you have an odd number of negatives, the answer is negative. 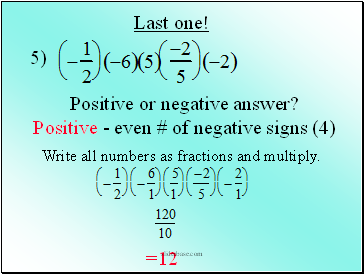 When you have an even number of negatives, the answer is positive. 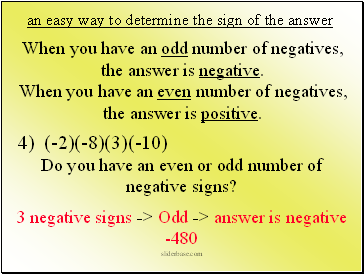 Do you have an even or odd number of negative signs? 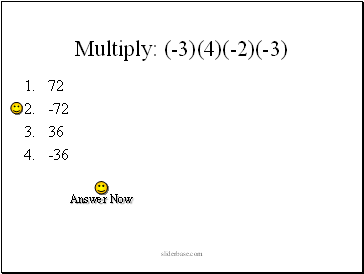 Write all numbers as fractions and multiply. 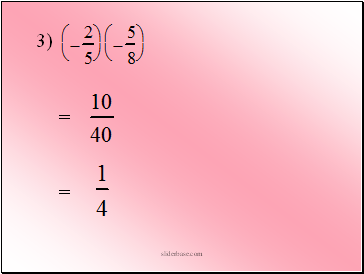 What is the sign of the product of (-3)(-4)(-5)(0)(-1)(-6)(-91)?